These were easy to put on and comfortable. 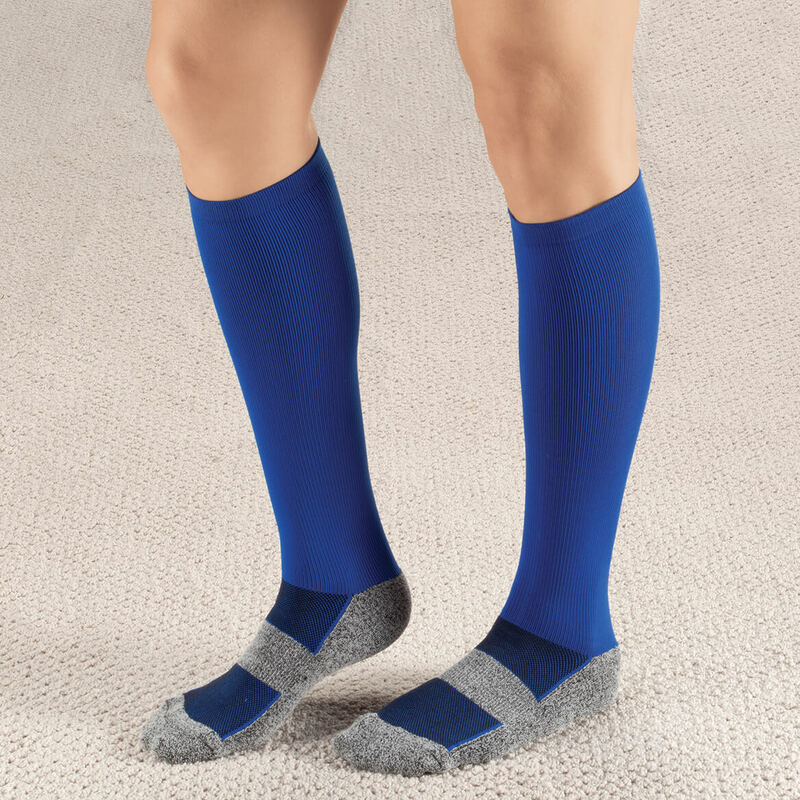 Purchased these for my husband who needs to wear compression socks. Did not have any difficulty putting them on. They were comforable and easy to remove also. 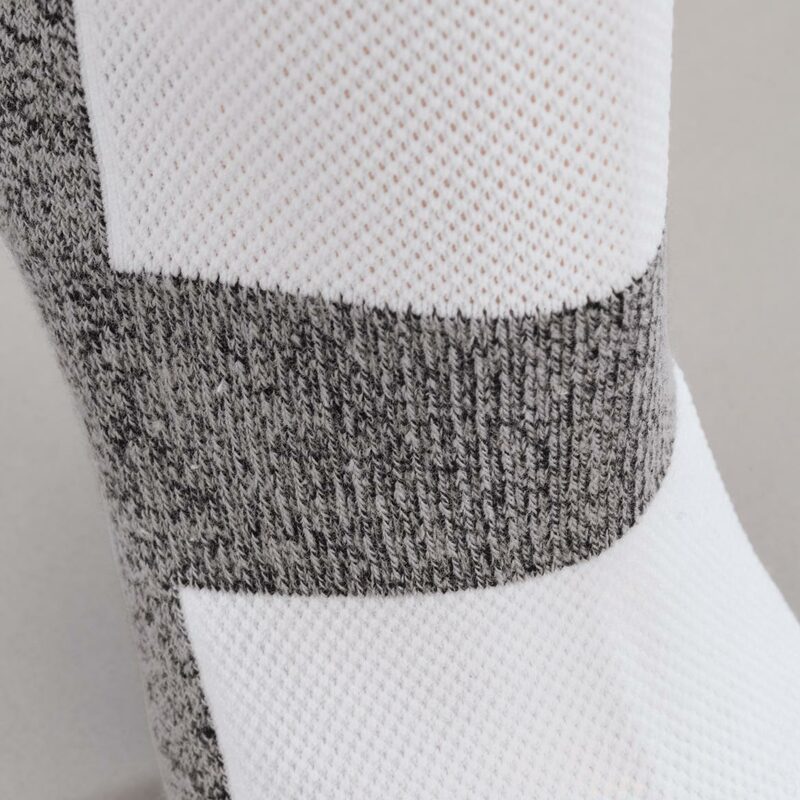 It would be nice if they came in other colors beside white and grey. Solid black would be preferred. Since my husband had to wear an open toe boot, we covered it up with a ankle black sock. Ordered in a large and it was the correct size and strechable. I've suffered from diabetic neuropathy for years, I am always looking for products that may provide me with a little relief. 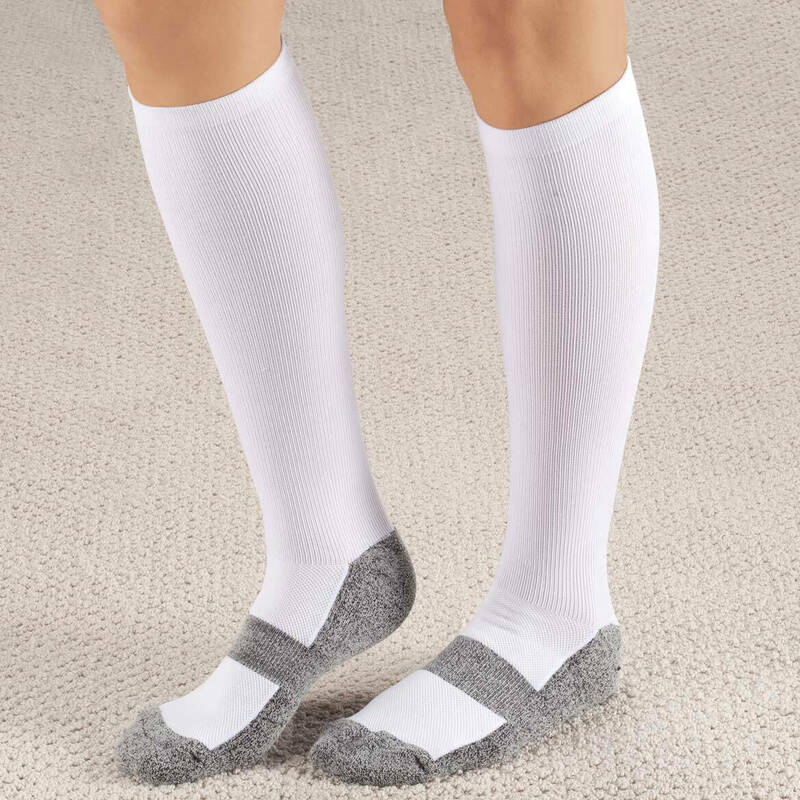 I'm hoping these socks will give me a little comfort. 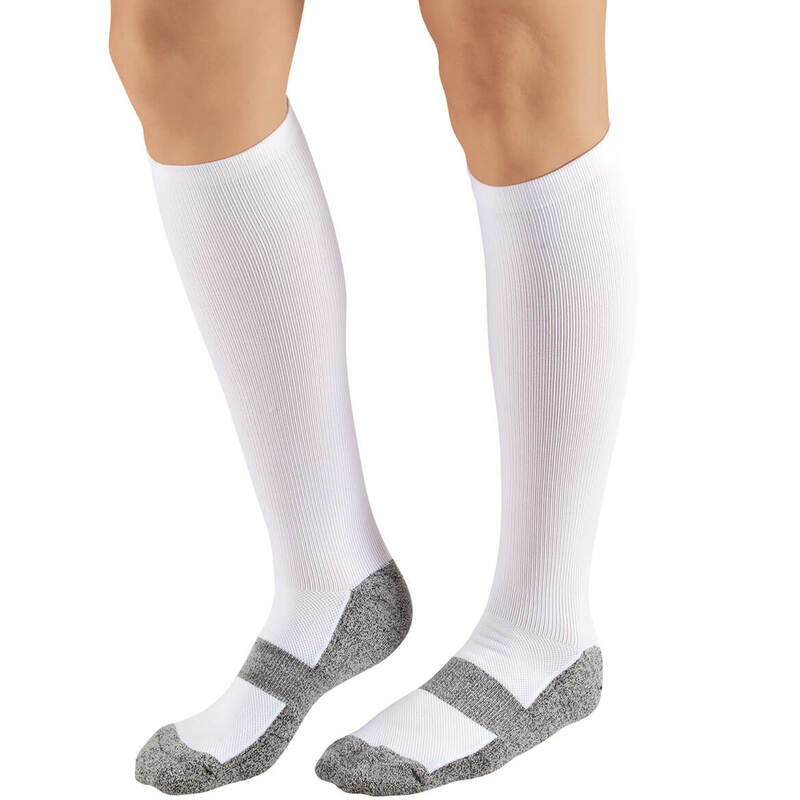 Wanted some compression socks and these were adorable and well priced. Thank you for your question. The colors available are white and blue. We hope this information will be of help to you.